3-James Albert Walker, usually known as Albert, was born on 9 Sep 1874 in Westbury, Tasmania, died on 30 May 1941 at age 66, and was buried in Deloraine Cemetery, Church of England Section. James married Elsie Edith Sushames. Elsie was born on 10 Jan 1881 in Sulphur Creek, died on 9 Dec 1941 at age 60, and was buried in Deloraine Cemetery, Church of England Section. Albert attended school at Exton from 1880 to around 1893 when he left to help his father with his carpentry business in the Westbury/Exton/Deloraine area, building farm gates, replacing wagon floors and sides, building barns, etc. During 1898 Albert and his brother Henry left Tasmania for New Zealand, visiting their brother Robert in the north of the South Island and working their way around, doing whatever work they could get. Albert returned home the following year and worked in the Riana district, marrying Elsie Sushames, the daughter of a local farmer. Albert was engaged in sawmilling on the north-west coast in his earlier day, later undertaking house carpentry which trade he followed until failing health compelled him to retire. He was an enthusiast in cricket and cycling and a member of St. Marys indoor games club, also of the Meander Lodge, U.A.O.D. Albert and Elsie had two sons, Ernest and Athol, and two daughters, Lorna and Lila. Albert died 30th May, 1941 and was buried at the Church of England section of the Deloraine cemetery. Elsie passed away just seven months later on 9th December. 4-Ernest Albert Leslie Walker was born on 6 Aug 1900 and died on 31 Jan 1973 at age 72. Ernest married Georgina Doris Titmus, daughter of George Marshall Titmus and Marion Gunner, on 30 Jun 1924 in St Pauls Church, Launceston. Georgina was born on 3 Nov 1900 in Lisle and died in Feb 1926 at age 25. They had one daughter: Beverley. 5-Beverley Walker was born on 2 Apr 1925. Beverley married Darcy Harold Mayne. Darcy was born on 31 Oct 1921 and died on 21 Dec 1969 at age 48. They had seven children: Kay, Leslie, Lorraine, Robyn, Darrel, Julie and Terrie. 6-Kay Mayne was born on 6 Jul 1944. Kay married Athol Anderson. Athol was born on 14 Sep 1942. They had two children: James and Carolyn. 7-James Anderson was born on 22 Sep 1968. 7-Carolyn Anderson was born on 11 Sep 1972. 6-Leslie Mayne was born on 28 May 1946. Leslie married Daleen Hirst. Daleen was born on 25 May 1946. They had four children: Leigh, Michelle, Jason and Jodie. 7-Leigh Mayne was born on 25 Oct 1968. 7-Michelle Mayne was born on 7 Jul 1970. 7-Jason Mayne was born on 22 Dec 1973. 7-Jodie Mayne was born on 18 Jan 1975. 6-Lorraine Mayne was born on 17 Jan 1948. Lorraine married Michael Watson. Michael was born on 18 Jul 1949. They had five children: Toni, Patsy, Kim, Kerrie and Jenny. 7-Toni Watson was born on 2 Feb 1966. 7-Patsy Watson was born on 4 Sep 1968. 7-Kim Watson was born on 30 Jul 1970. 7-Kerrie Watson was born on 16 Mar 1972. 7-Jenny Watson was born on 15 Aug 1973. 6-Robyn Mayne was born on 14 Jun 1949. Robyn married Arthur Leslie Charles Hampton. Arthur was born on 3 Mar 1945. They had two children: Justin and Brett. 7-Justin Hampton was born on 5 Nov 1973. 7-Brett Hampton was born on 16 May 1975. 6-Darrel Mayne was born on 12 Oct 1950. Darrel married Pattie Woodhouse. Pattie was born on 6 May 1951. They had two children: Sharon and Debbie. 7-Sharon Mayne was born on 11 Feb 1978. 7-Debbie Mayne was born on 14 Mar 1979. 6-Julie Mayne was born on 23 Jan 1954. Julie married John Gould. John was born on 11 Mar 1950. 6-Terrie Mayne was born on 3 Jan 1956. Terrie married Garry Howard. Garry was born on 28 Jun 1953. They had three children: Craig, Trent and Danny. 7-Craig Howard was born on 1 Jan 1978. 7-Trent Howard was born on 1 Jan 1980. 7-Danny Howard was born on 22 May 1982. Ernest next married Lillian Maud Wheatland. Lillian was born on 12 Apr 1906 and died on 31 Jul 1978 at age 72. They had one son: Geoffrey. 5-Geoffrey Walker was born on 30 Jul 1929 and died on 12 Jun 1954 at age 24. 4-Lorna Elsie May Walker was born on 14 Apr 1903 in Pine Road, near Penguin and died on 10 Aug 1941 at age 38. Lorna married Aubrey Jack Pinkard, son of Harry Pinkard and Jane Price. 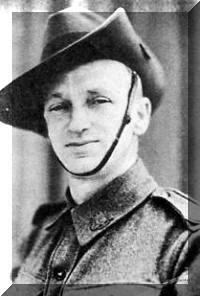 Aubrey was born on 25 Sep 1900 in Longford, Tasmania and died on 11 Feb 1972 at age 71. 4-Elvie Leila Walker was born on 30 Sep 1904 in Riana and died on 14 Jul 1980 at age 75. Elvie married Robert Roy Batt, son of James Batt and Amanda Malvina Smith. Robert was born on 10 Feb 1895 in Deloraine, Tasmania and died on 29 Oct 1973 at age 78. They had six children: Francis Mary, Enid Doreen, Kathleen Elsie, Audrey Elaine, Dorothea May and Trevor James. 5-Francis Mary Batt was born on 11 Aug 1922. Francis married Kenneth Cecil Waller, son of Percy Reginald Murray Waller and Ellen Maud Jones. Kenneth was born on 29 Jun 1918 in Zeehan, Tasmania. They had two children: David Kenneth and Lyn. 6-David Kenneth Waller was born on 5 Mar 1942. David married Susanne Elizabeth Loone. Susanne was born on 25 Apr 1944. They had three children: Leanne, Paul and Jane. 7-Leanne Waller was born on 10 Oct 1965. 7-Paul Waller was born on 4 Dec 1971. 7-Jane Waller was born on 4 Dec 1971. 6-Lyn Waller was born on 16 Jul 1953. Lyn married Anthony Berry. Anthony was born on 19 Jan 1953. They had three children: Melissa, Anna and Clair. 7-Melissa Berry was born on 31 Jan 1973. 7-Anna Berry was born on 23 Mar 1976. 7-Clair Berry was born on 23 Apr 1980. 5-Enid Doreen Batt was born on 15 Jun 1924. Enid married Roy William Scott. Roy was born on 24 Sep 1923. They had four children: Wayne Robert, Yvonne Dorothea, Michael and Julie. 6-Wayne Robert Scott was born on 23 Sep 1943. Wayne married Mary Joan Wise. They had three children: Tanya Louise, Craig Anthony and Cheryl Anne. 7-Tanya Louise Scott was born on 6 Sep 1965. 7-Craig Anthony Scott was born on 28 Oct 1967. 7-Cheryl Anne Scott was born on 18 Jan 1969. 6-Yvonne Dorothea Scott was born on 15 Oct 1944. Yvonne married Raymond Dugal Skeggs. Raymond was born on 22 Jun 1933. They had five children: Raymond Michael, Steven Roy, Leon Malcolm, Graeme Anthony and Kaylene Maree. 7-Raymond Michael Skeggs was born on 22 Oct 1966. 7-Steven Roy Skeggs was born on 18 Aug 1968. 7-Leon Malcolm Skeggs was born on 14 Oct 1971, died on 27 Nov 2004 at age 33, and was buried on 3 Dec 2004 in Carr Villa Cemetery, Launceston, Tasmania. Leon married Tania. They had one daughter: Tiffany. 7-Graeme Anthony Skeggs was born on 6 Feb 1973. 7-Kaylene Maree Skeggs was born on 5 Jul 1974. 6-Michael Scott was born on 16 Aug 1952 and died on 20 Dec 1963 at age 11. 6-Julie Scott was born on 10 Oct 1953. 5-Kathleen Elsie Batt was born on 5 Mar 1926. Kathleen married Frank Elmer, son of John Henry Elmer and Hilda May Gray. Frank was born on 21 Jan 1917 in Parsonage Street, Deloraine and died on 26 Jul 1971 at age 54. They had three children: Christine Phyllis, Jennifer Mary and Karin May. 6-Christine Phyllis Elmer was born on 29 Jul 1950. Christine married William Kidd. William was born on 22 Oct 1948 in St Ives Private Hospital, Launceston, died on 12 Jul 1980 in The Phillipines at age 31, and was buried on 22 Jul 1980 in Cremated, Carr Villa Cemetery Launceston. They had three children: Stephen James, Tracey Louise and Donna Michelle. 7-Stephen James Kidd was born on 31 Jul 1973 in Devonport. 7-Tracey Louise Kidd was born on 14 May 1975 in Devonport. 7-Donna Michelle Kidd was born on 7 Apr 1976 in Devonport. Christine next married Michael Best. Michael was born on 20 May 1957. Christine next married Mal Philpott. 6-Jennifer Mary Elmer was born on 20 Aug 1953. Jennifer married Anthony Noel Smith. Anthony was born on 21 May 1949. They had two children: Andrew Peter and Mark Francis. 7-Andrew Peter Smith was born on 16 Apr 1971. 7-Mark Francis Smith was born on 12 Feb 1975. 6-Karin May Elmer was born on 10 May 1955. Karin married Malcolm William Hampton. Malcolm was born on 22 Dec 1953. They had two children: Paul Anthony and Sherree Terise. 7-Paul Anthony Hampton was born on 30 Jul 1973. 7-Sherree Terise Hampton was born on 22 May 1982. 5-Audrey Elaine Batt was born on 6 Aug 1929. Audrey married Miles Leslie Coates. Miles was born on 28 Apr 1928. They had three children: Kerry John, Wendy Ann and Tony Miles. 6-Kerry John Coates was born on 7 Oct 1949. Kerry married Chris Smith. Chris was born on 8 Mar 1948. They had three children: Michelle, Ricky and De-Arne. 7-Michelle Coates was born on 7 Aug 1969. 7-Ricky Coates was born on 28 Dec 1970. 7-De-Arne Coates was born on 29 Mar 1972. 6-Wendy Ann Coates was born on 3 Jun 1953. Wendy married Craig Lloyd Hampton. Craig was born on 30 Mar 1952. They had two children: Jason and Adele. 7-Jason Hampton was born on 27 Mar 1970. 7-Adele Hampton was born on 20 Mar 1973. 6-Tony Miles Coates was born on 4 Feb 1958. Tony married Lindy Bingley. Lindy was born on 19 May 1960. They had two children: Belinda and Mathew. 7-Belinda Coates was born on 15 Aug 1980. 7-Mathew Coates was born on 10 Oct 1983. 5-Dorothea May Batt was born on 1 Aug 1933 and died on 11 Jan 1943 at age 9. 5-Trevor James Batt was born on 15 Oct 1938. Trevor married Shirley May Youd. Shirley was born on 18 Mar 1937. They had three children: Debbie Anne, Garry James and Sandra Maree. 6-Debbie Anne Batt was born on 29 Apr 1961. Debbie married Peter Frederick Bounday. Peter was born on 16 Jun 1952. They had one son: Mathew Peter. 7-Mathew Peter Bounday was born on 2 Aug 1984. 6-Garry James Batt was born on 20 Nov 1962. 6-Sandra Maree Batt was born on 13 Nov 1964.